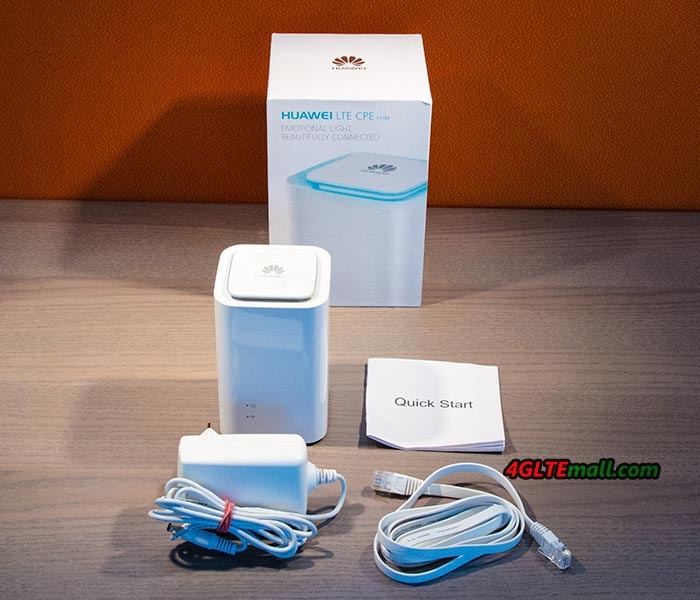 The Huawei E5180 is a 4G router with a nice look. Working with a 4G sim card, the Huawei E5180 could provide wireless network for home or office, and it can easily replace an ADSL box when you have a deplorable throughput. 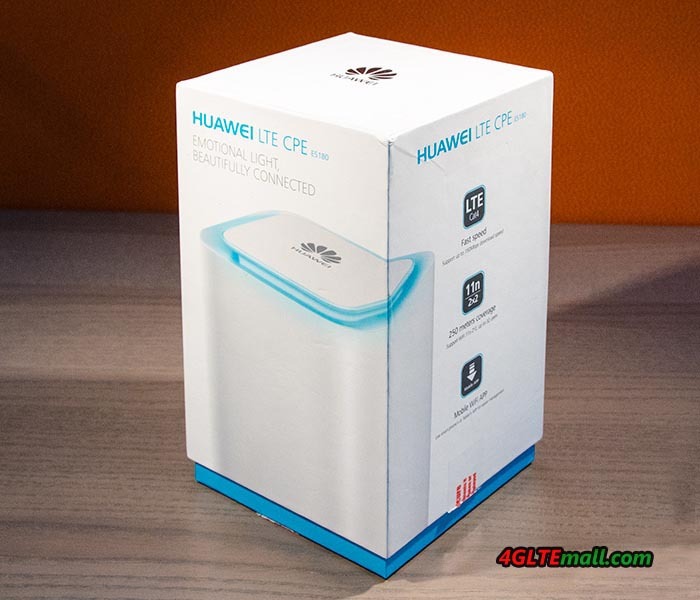 The Huawei E5180 is an unlocked 4G router that user can use with any 4G SIM card in European and African countries. 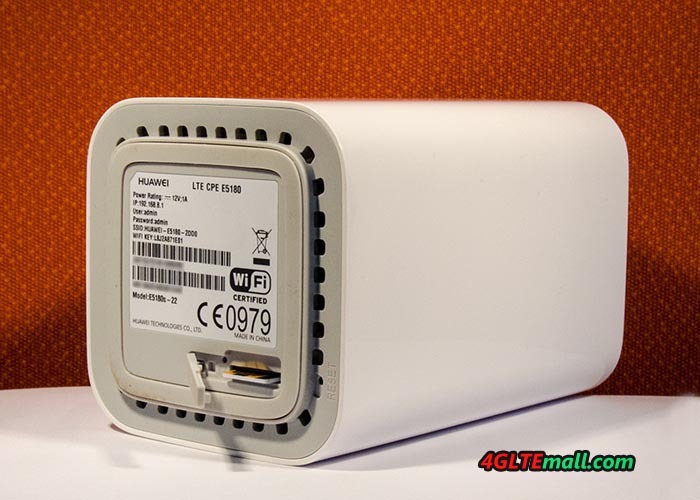 Like all these 4G routers, simply put the SIM card in, start it, connect to the web interface with the information displayed under the router and you start a connection in minutes. Comparing with the 3G router such as Huawei B683, it is more powerful but comparing with the other 4G routers, it may not be the best. Based on the functions, Huawei E5180 works perfectly if you do not have an internet to use. The only important point to note with these devices is that it is necessary to find the ideal location to have a good flow. We had tested it on many devices that they provide different data rates at different location. 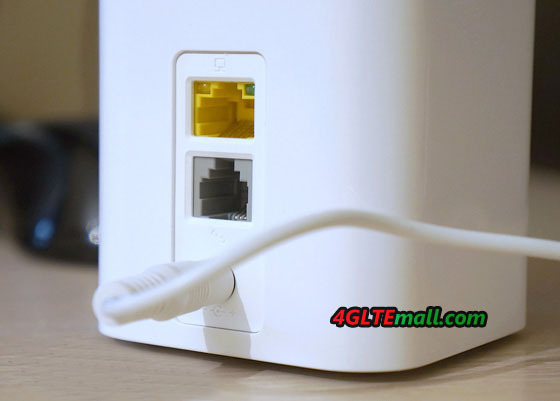 You may find the best one to use the Huawei E5180 router. Dimensions: 70mm wide, 110mm height, 70mm depth Weight: 250 grams Supported LTE category 4 Supported frequencies FDD 800/900/1800/2100/2600 MHz and TDD 2600MHz 1 RJ45 female (fast Ethernet), 1 RJ11 female, WIFI N 300Mbps 2 CRC-9 ports to connect an external antenna available on the left side SIM Card Type: micro sim Some more info You have two LED indicators on the front. The top one lets you know the quality of the received signal. To use the router quickly, just insert the micro sim card into the router, plug it in and wait a few moments. Using the RJ45 cable, connect the router to your PC. You can also connect wifi to your router by looking underneath it! A label includes the SSID (name of the wifi network of the router) and WIFI KEY (the password to access this network). In a web browser, type the address http://192.168.1.1/ You will then access the interface to configure the router. The username and password are both admin. If you want to have the best possible reception especially if you are very far from the cell tower, you can connect an external antenna to this E5180 router. The ideal antenna is obviously an outdoor LTE antenna, which has two connectors and when installing the antenna, make sure it pointing to the 4G cell tower, the cable entering your roof and going down into the room. We had one tested outdoor external LTE antenna, which can work well with the Huawei E5180 to get much better signal and surfing speed. The Huawei E5180 4G router does the job perfectly. Capturing much better 4G than a mobile phone, it allows you to replace a box at the ASDL. The download speed on LTE reachs 150Mbps and upload speed to 50mbps. And the price of Huawei E5180 is not expensive since it’s available for long time in the market. Even though there are many 4G routers in the market, the functions of Huawei E5180 are enough for most cases.